Spent about 4 hours or saw making lumber today from the fir and spruce logs I had piled up behind the workshop. The logs were cut in summer 2014. The bark still on, they are starting to get buggy. So I slabbed some up to get some 2×4 or whatever I could get. The scraps and small logs were cut up for firewood. This is the type of chain I use for slabbing the logs. I keep forgetting that the GoPro camera damn near needs to be on top of the action to get some decent footage. View the video in full screen for a closer look. 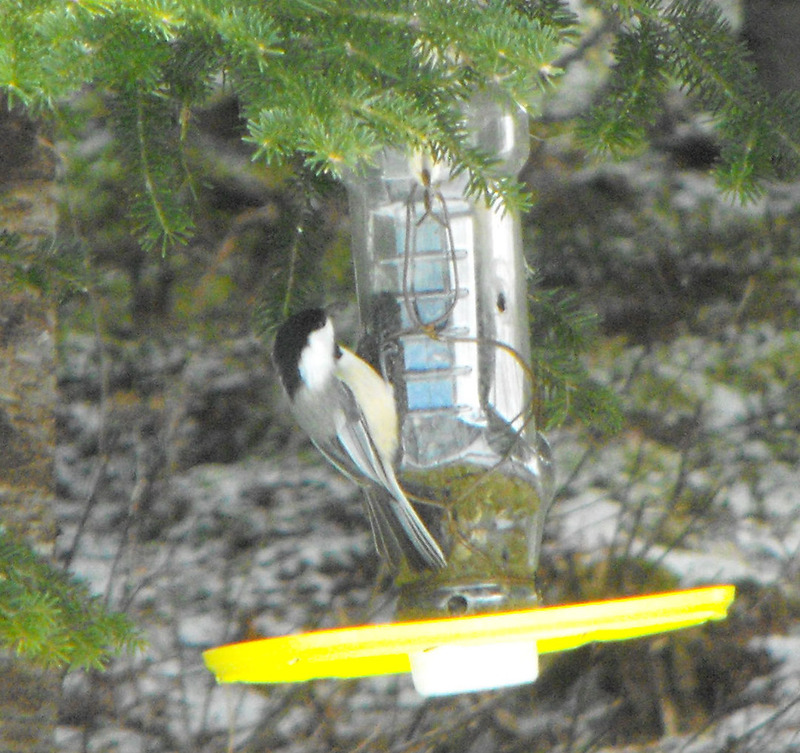 Our visit visitor to our bird feeder made from a ketchup bottle and a ice cream container lid. 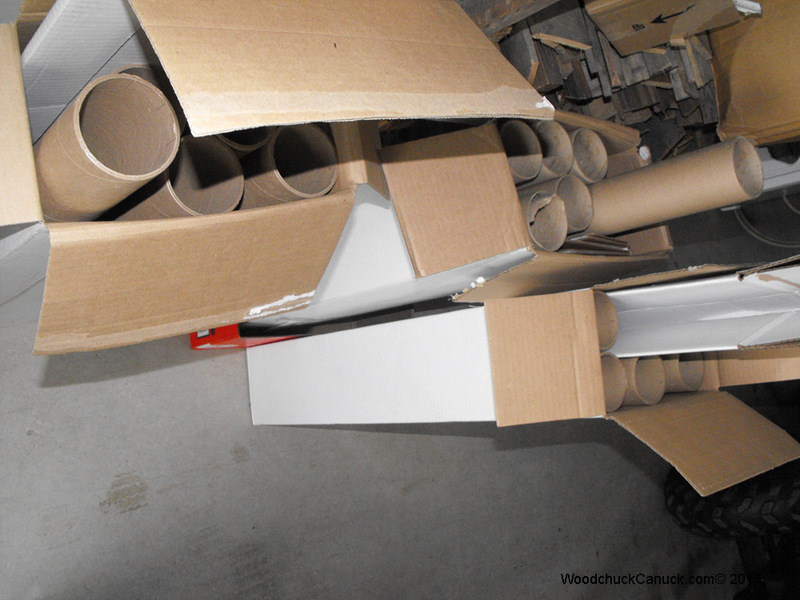 If anybody has a use for cardboard cores for crafts or something else, drop me a line. We regularly have 3 inch diameter x 36.25 inch long cores from our wide format printer. They would go usually in for recycling but I would rather see them re-used. Making the most of leftovers. Making the most of left overs is just as important in the workshop as it is in the kitchen. I had overestimated the amount of hardwood laminated engineered flooring (plywood sub-base) by 3 cases.